58 acres located within the Chehalis River Watershed southeast of Elma in Grays Harbor County. The property includes wetland, pasture, agricultural fields, and a large grove of cedar trees. 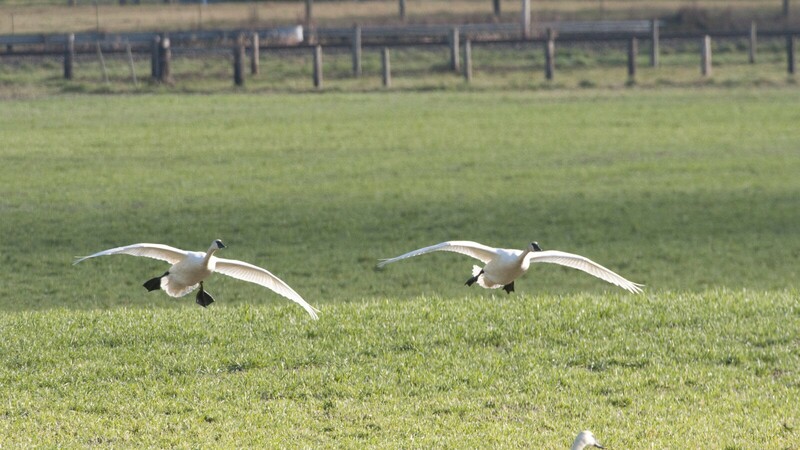 The agricultural fields and pasture, while providing habitat for ducks and geese almost year-round, are also the region’s most important Trumpeter swan roosting habitat. The property boasts an average of 850 Trumpeter swans a year, as well as 1-2 thousand migratory ducks and geese. The wetland is also important habitat for songbirds and amphibians including frogs, and salamanders. This easement is meant to mitigate the loss of habitat resulting from the removal of the Glines Canyon and Elwha dams.